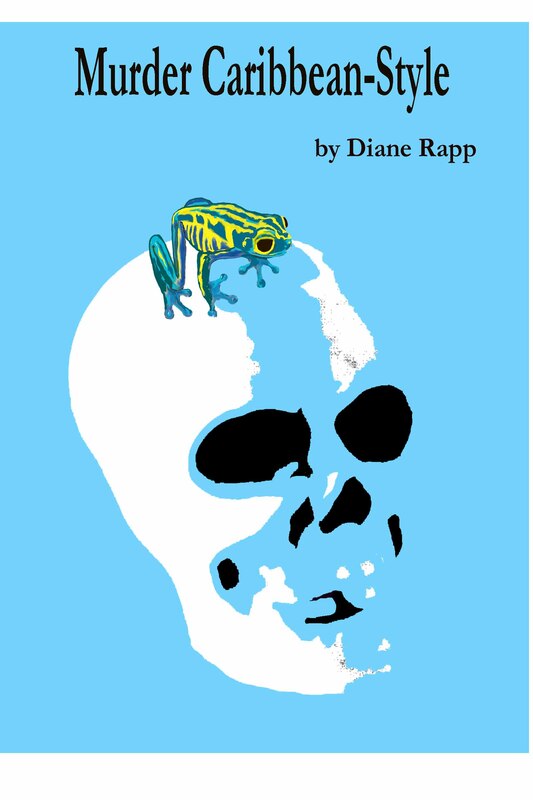 Mystery writer Diane Rapp gave up on writing after a traditional publisher with which she had a deal went bankrupt. But she found her way to self-publishing and explains why she’s happy she did. 1. Pretend for a moment I’m a reader looking for my next book. Pitch me one of your books. When Kayla Sanders accepts a free Caribbean cruise aboard the Aurora, she gets sucked into a modern-day mutiny culminating in the murder of her ex-lover, Patrick MacIntyre. Plunging into a frenzied investigation to discover the killer before police arrest her friends, Kayla bumps into Steven Young every time she uncovers a clue and they soon join forces to unravel the mystery. Can Kayla trust him enough to fall in love again? Like a tightrope walker balancing between passion and peril, Kayla risks her life to unearth the truth behind Patrick’s death and free herself from the past. I spent thirty years in business for myself, selling real estate, owning a retail store, and doing freelance advertising work. When I finished my first novel, it drove me crazy to have “agents” take my work and never inform me about their progress. As a real estate agent I knew that half the job was keeping your client informed. Now as an indie writer I count on myself to work hard. If I need better results I work harder. If I go on vacation, my laptop travels. It’s a wonderful age we live in. I published a travel guide to the Caribbean (co-authored with my daughter) and we did three updated editions. When I signed a contract with a publisher on my mystery novel Murder Caribbean-Style, I got so excited. The publisher went bankrupt and returned the rights to me. I gave up writing until my husband found an article about becoming an indie publisher. It “kindled” my hope and I worked hard to launch four e-books on Amazon. Sales are increasing every month and I get a higher percent of sales than with traditional publishing. It’s difficult to push myself to do self-promotion but I’m learning. At least I earn more for my efforts and don’t have to sit back and wait for a publisher to send me a royalty check twice a year. If I want better sales I work hard to make more friends. I’m still too new at this to know what works, so I’m open to trying everything: my own website, Twitter, Facebook, and this month I’m doing free book days through the KDP Select Program. Paid promotion. I will do what I can on my own for now. Patience and perseverance—when you are in charge of everything you can’t fire the marketing department for laziness. Become an indie author sooner. Work hard to make your story the best it can be and then work even harder spreading the word. Don’t take criticism personally, use it to make your work better. It’s really easy to make corrections and replace the book content. I’m doing research and planning for a mystery cruise novel to Alaska. It will include a wedding at Glacier Bay, dangerous animals, fun side trips, an art heist, and of course a murder to solve. QuickSilver Novels: A rare element thought to be magical in ancient times, quicksilver expands, melds, and becomes useful when mixed with other elements—just like a writer’s imagination. Visit quicksilvernovels.com where I publish blogs about elements of my books, reviews I write about other authors’ books, and descriptions of my mystery and science fiction series. Thank you so much for the interview, Kris. I love to see my book cover, it took me a long time to draw that frog, after all the years I spent getting that book published. I’m so grateful for the chance to have readers enjoy my work.